Durable ultra-hard GraffitiOff Surface facilitates easy removal of paint and marker ink; graffiti cleans without ghosting TB-80. 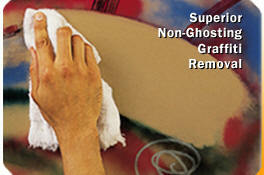 Excellent reparability from light scratches to gouges TB-81. Institutional hardware option maximizes vandal resistance. Flame spread and smoke development: has ICC, NFPA Class B ASTM E 84 test result classification, TB-73. 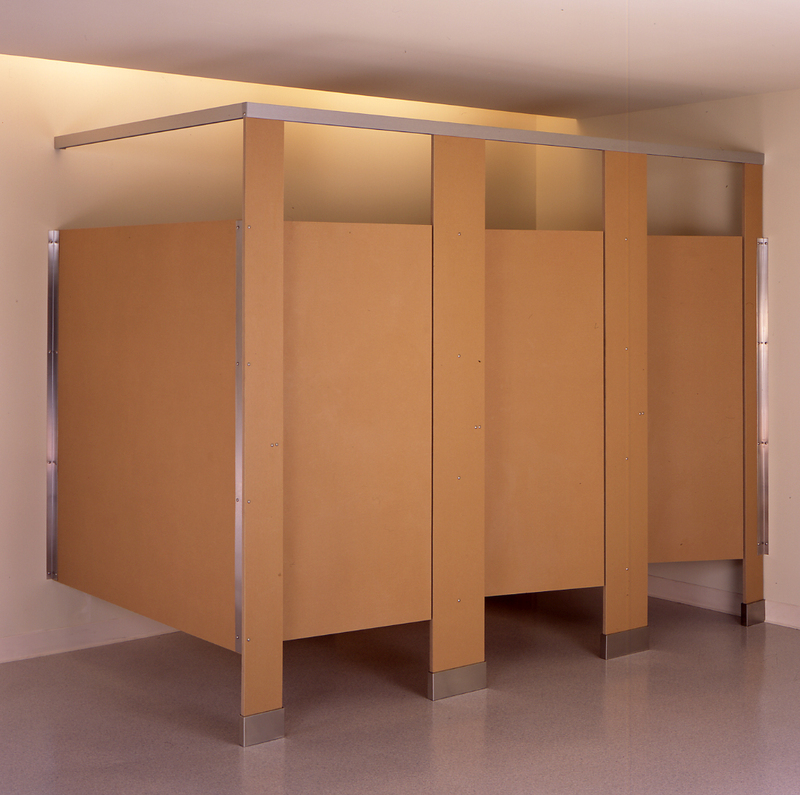 10year limited warranty against breakage, corrosion, and de-lamination on restroom partitions. Doors and stiles: 3/4" finished thickness; Panels: 1/2" finished thickness. Solid Phenolic core with multiple resin impregnated craft, color and clear Melamine surface sheets fused at high temperature and pressure. Heavy-duty type 304 satin finish stainless steel; for emergency access, door lifts from outside. Hinge can be adjusted for a partial opening or self-closing door; patented, one-piece shoe conceals stile leveling device. 7 gauge, 3/16" thick, corrosion resistant steel, angle leveling bar, Angle leveling bar is secured to base of solid phenolic stile. Sleeve anchors require minimum 2" penetration into minimum 3" thick structural concrete floor. Threaded inserts are factory installed for securing hinges on restroom partitions. New vandal resistant, pin headed Torx screws for mounting door hardware; saves installation time and costs. T-nuts are factory installed for securing door latch. All configurations of restroom partitions. Extra heavy duty, type 304 satin finish stainless steel; angle brackets, U channels and spring loaded, self closing hinge run full height restroom partitions. For emergency access, door lifts from outside; all partition fasteners are new pin head Torx screws; patented, one piece shoe conceals stile leveling device on restroom partitions .